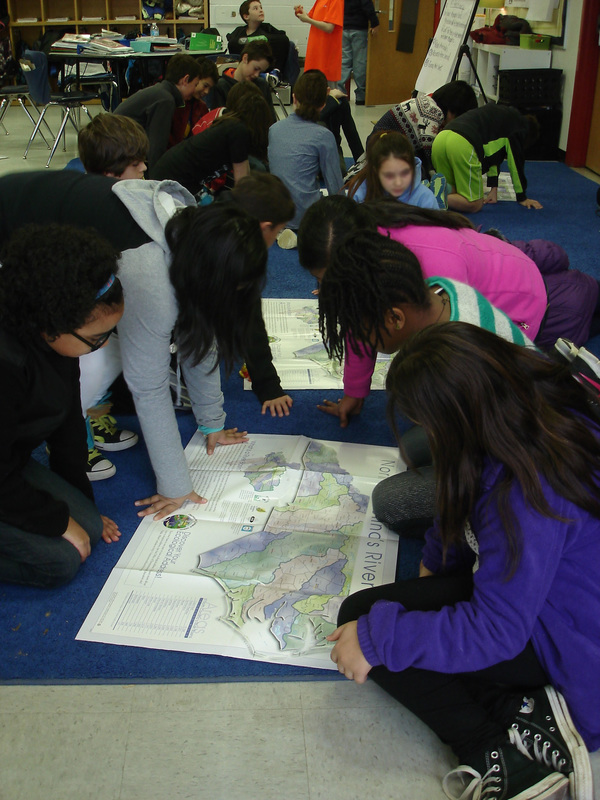 Lands and Waters South has been working with Seawell Elementary School in Chapel Hill since 2014. 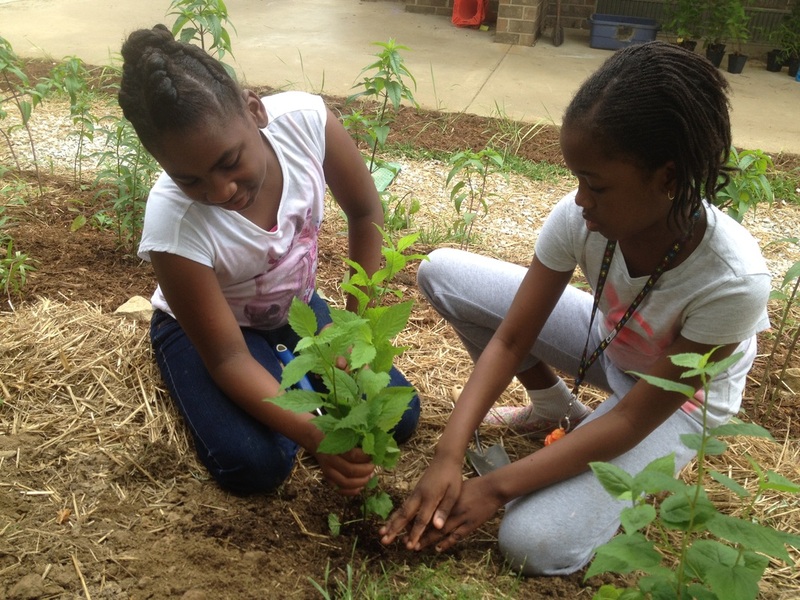 In 2016, we were awarded an Honorable Mention from the Greater Triangle Stewardship Development Awards Program for "examplary water quality protection, vegetation protection & enhancement, and community outreach and education." 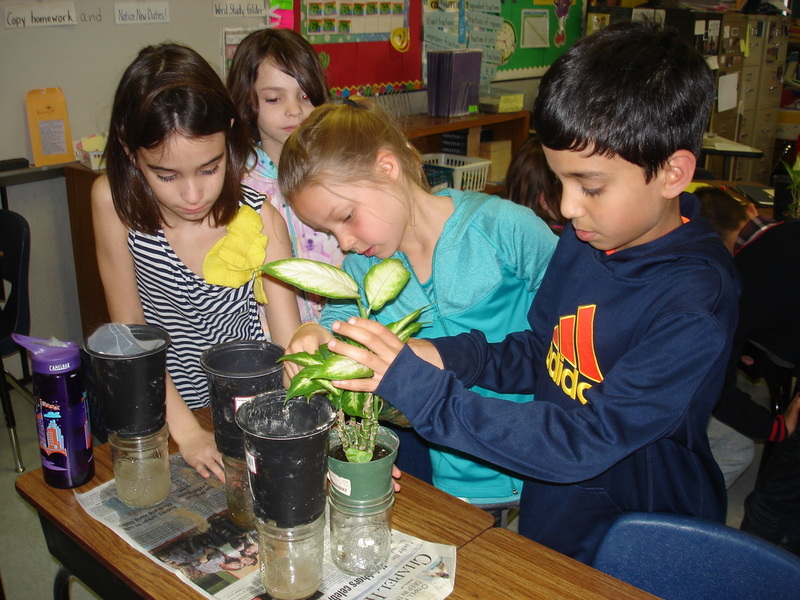 We were honored to receive this distinction and look forward to continuing our work at Seawell. 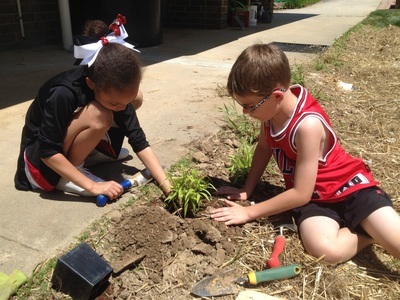 Thanks to The Jandy Ammons Foundation, the Captain Planet Foundation, and Lowes Toolbox for Education for providing the funding for this project, and to NC State Coopertive Extension and Chapel Hill-Carrboro City Schools for partnering with us on it! 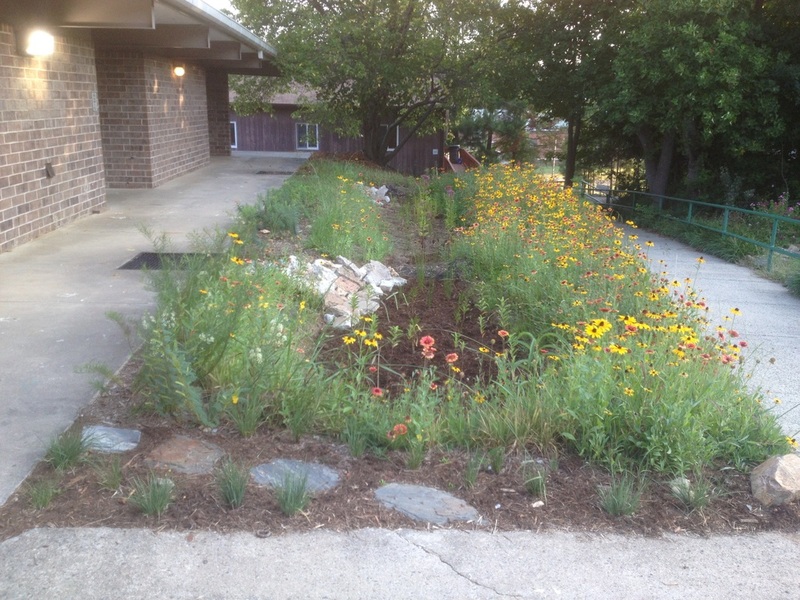 A 200-square foot rain garden collects stormwater runoff from two downspouts off the roof of a building at Seawell. 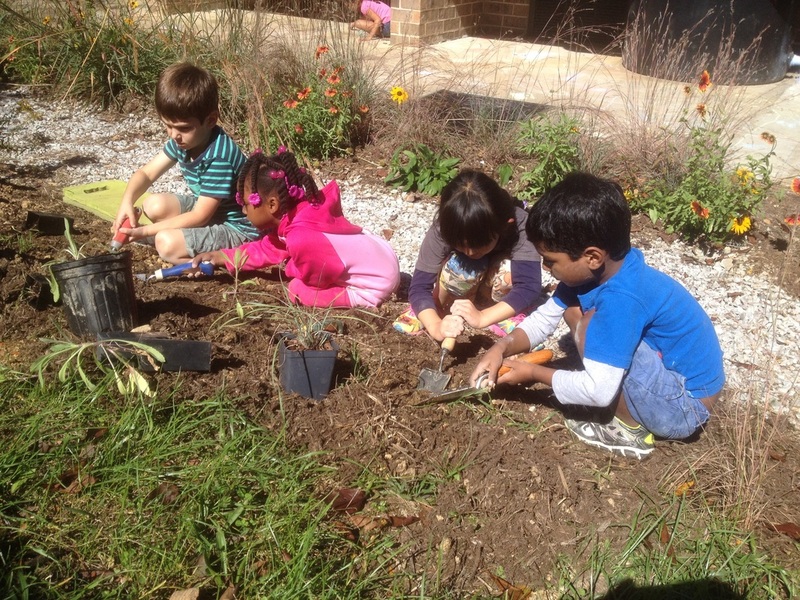 The garden is sized to collect all of the rain that falls during a 1" storm. 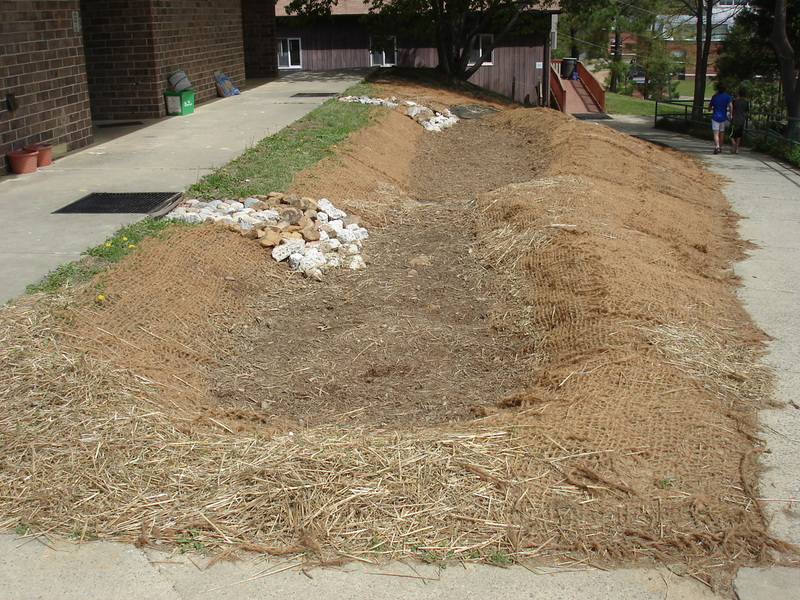 Before the garden was created, runoff flowed down a hill in front of the building, eroding the hill. Now, the plants and soil in the garden absorb and clean the runoff, filtering out pollutants. 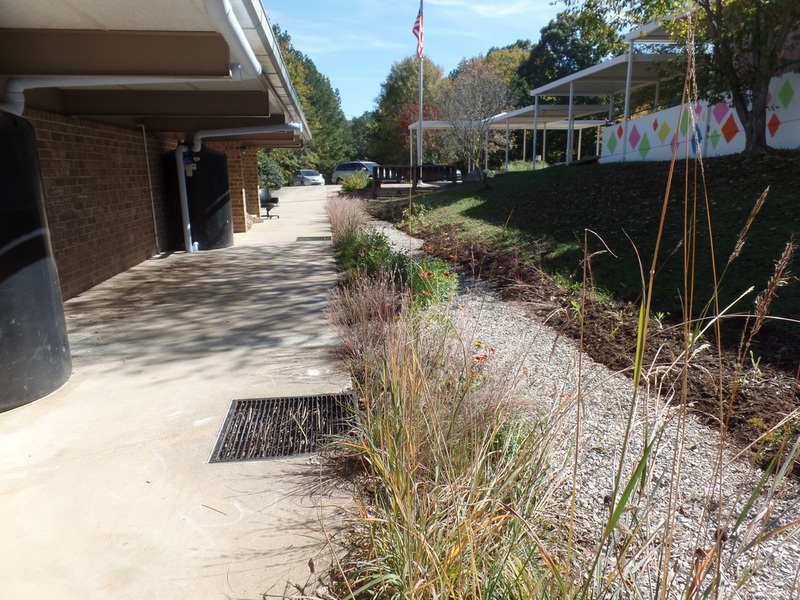 Any runoff that might leave the garden reaches a storm drain at the base of the hill at a much slower rate than before, which helps prevent Bolin Creek from being eroded. 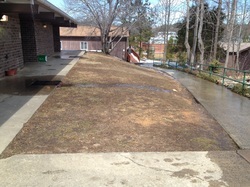 Stormwater runoff that once flooded buildings at Seawell now flows off of the roof into four cisterns that can hold a total of 2,000 gallons of water, which is the amount they collect in a 1" storm. Harvested water is used for watering animals in the school's critter corner and for irrigation. 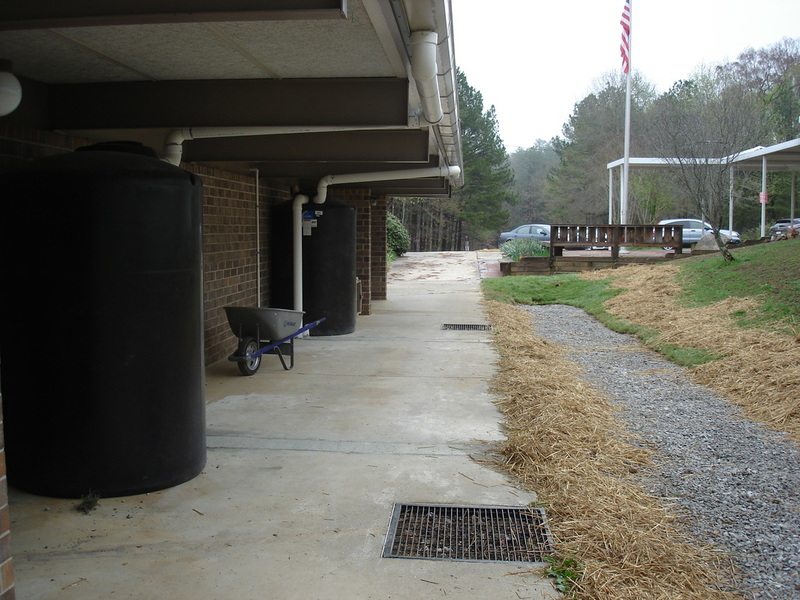 Overflow is sent to a three-foot deep gravel infiltration trench, which allows the water to slowly percolate back into the ground or slowly reach a storm drain that will send it to Bolin Creek. 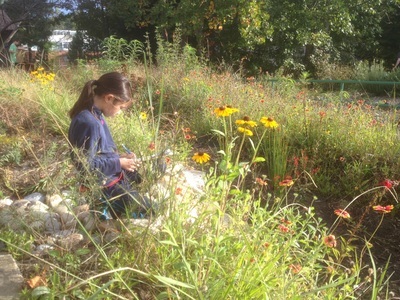 By slowing the water's flow, we protect the creek from being eroded and provide the hot rooftop water time to cool down, thereby protecting aquatic life sensitive to temperature increases in the creek. 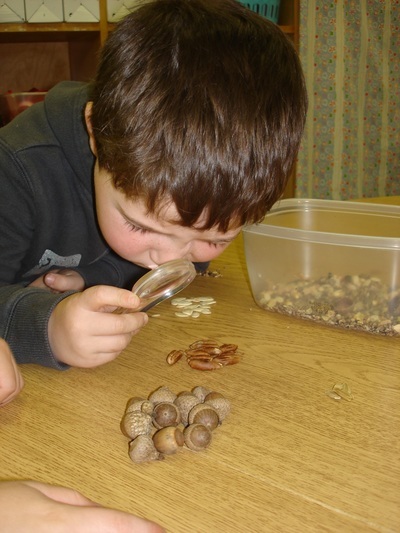 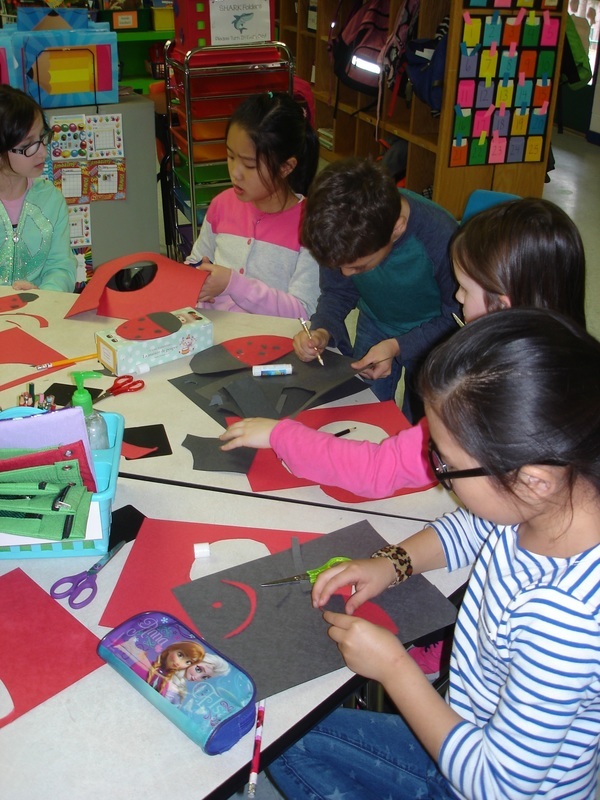 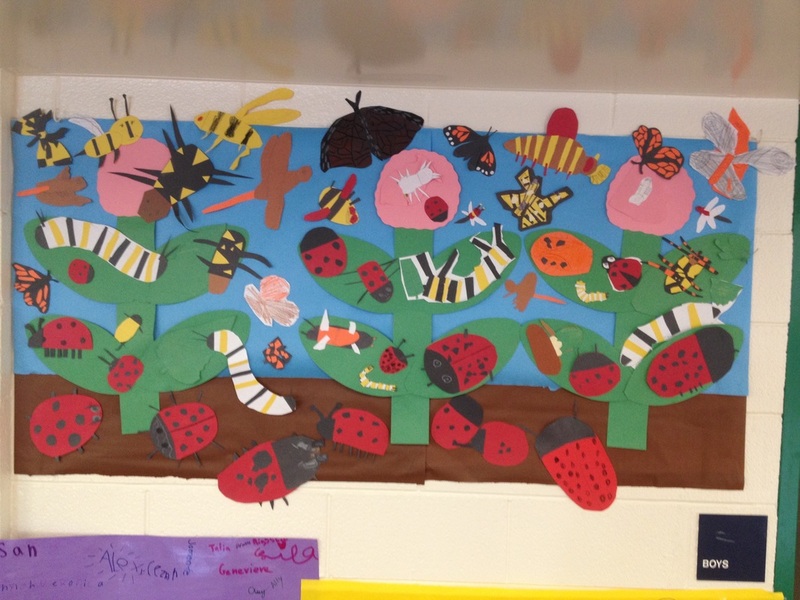 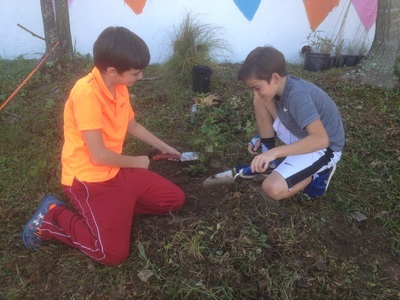 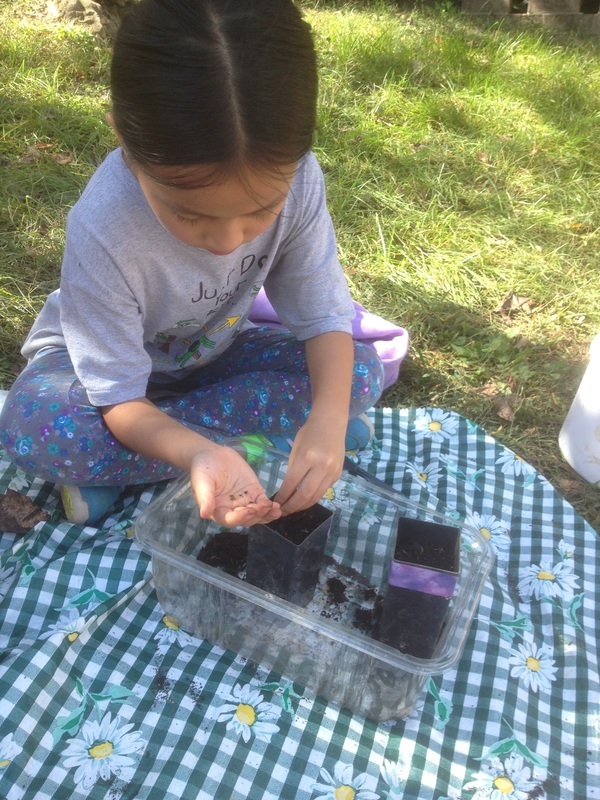 To ensure students understood the purpose of the project, classes received hands-on lessons on topics including habitats, ecosystems, migration, watersheds, stormwater runoff, and seed dispersal. 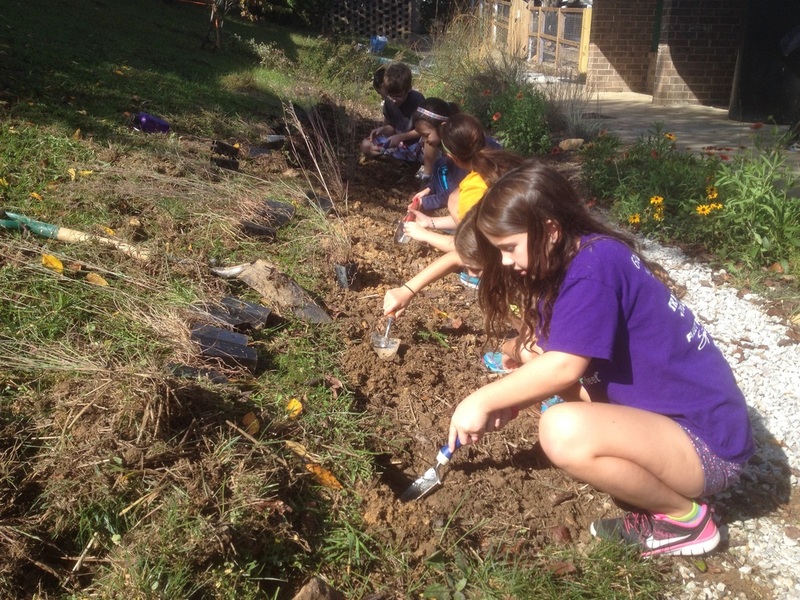 They then planted species native to the Piedmont along the infiltration trench and in and around the rain garden. These native plants provide habitat for wildlife (particularly pollinators like bees and butterflies) and prevent soil erosion. Classes have begun to use the area as a “living laboratory" for everything from studying insects to learning about the Fibonacci sequence. 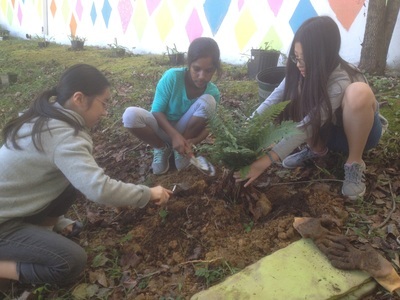 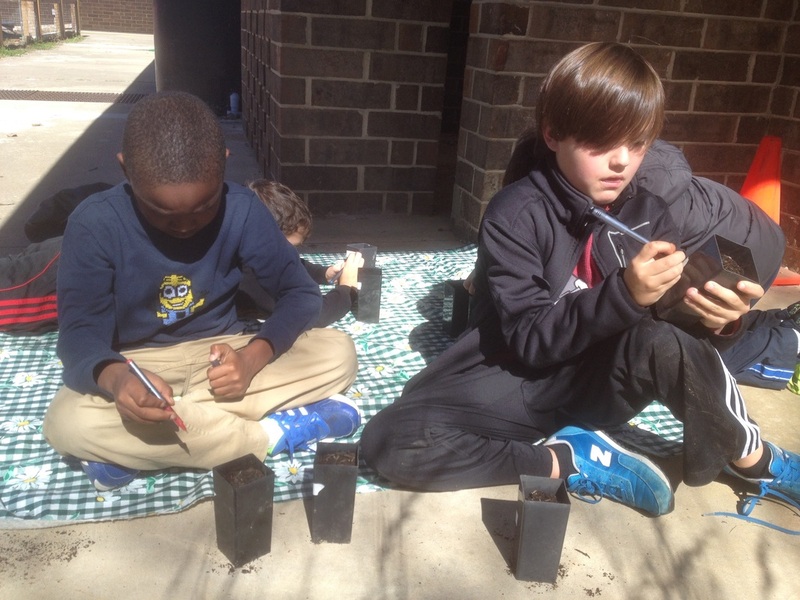 In the spring of 2017, Lands and Waters worked with students at Estes Elementary School (located in Chapel Hill) to begin a project in the school's courtyard. 100 fourth grade students planted three beds with shade-tolerant pollinator plants native to the Piedmont, including white-wood aster (Eurybia divaricata) and bluestem goldenrod (Solidago caesia). 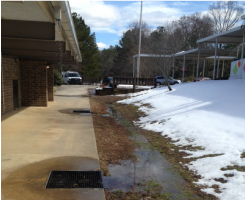 We're still in the early stages of a project at FPG (located in Chapel Hill) to curb the flooding problem on the school's playground, which is located in the floodplain of Morgan Creek. 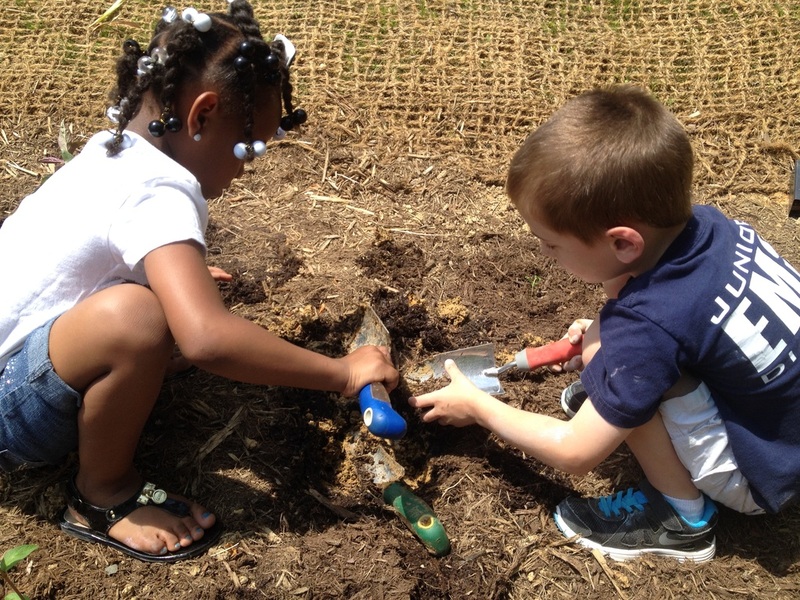 We've got a great team assembled and are excited about the possibilities that lay ahead!